You as a dog or cat breeder try to ensure that the healthiest possible puppies and kittens are brought into this world. You care for the moms, dads and babies as if they were your very own children. You also know that proper nutrition can pave the way to long and healthy lives. If you’ve been a breeder for a while, imagine how many pet products have been purchased because of your recommendation. Have those companies paid you real money for recommending their products or do you receive coupons or samples? Why let someone else profit from your recommendations? Imagine if you were financially rewarded for every bag of pet food you recommend – over and over and over again for the life of that customer. That could be a huge amount of money for you! GET PAID FOR RECOMMENDING TOP-QUALITY PRODUCTS! Every product is formulated for optimal nutrition, and every purchase is extra income for you! You have the opportunity to recommend Life’s Abundance to your puppy or kitten buyers. When your puppy or kitten goes to their new home, simply recommend Life’s Abundance. The customer can purchase from your Life’s Abundance web site or through our customer support phone line. You earn money (not coupons!) for the rest of that pet’s life for as long as the client remains on the products! With Life’s Abundance, there is no limit to what you can earn. 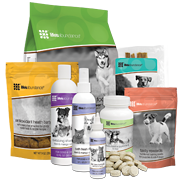 They offer generous commissions on over 60 consumable pet products. The best part is you receive a “check back” on your own discounted orders! There are never any purchases required for you to get paid . The more you sell, the higher your commissions will be. Just that simple. We’ll help you maximize your commissions by showing you what other breeders do to ensure your success. You could get your own pet products free just by telling others about Life’s Abundance! Let our Life’s Abundance Breeder Program help you in your efforts to earn extra income and start your path to retirement now. The Life’s Abundance Breeder/Kennel program gives you a fully functional e-commerce website that you can link to your current Dog or Cat Breeder Web Site. Earn commissions and bonuses from every sale of Life’s Abundance Dog Food, Life’s Abundance Cat Food, Treats, Supplements and Pet Care Products! Your customers purchase directly from your site and the Life’s Abundance company ships the products – No Inventory, No Paperwork, No Worries! Will this take much of your valuable time? NO! Life’s Abundance Has Never Been Part Of Any Recall! Click here for FDA dog food recalls. A food is not recalled unless there are widespread reports and proof of serious illness and/or death. Life’s Abundance dry and canned foods rank high with independent, unbiased reviewers: Top award of 5 stars with Dog Food Advisor and Pet Food Ratings, A+ with Here Pup, and on the coveted recommended list with Whole Dog Journal. How Can You Participate In This Awesome Life’s Abundance Breeder Program? It’s Easy! Click Here to Join Life’s Abundance and Get Started Today! If you have any questions about the Life’s Abundance Dog And Cat Breeder Program, please call Judy Bishop at (281) 205-0429 or (800) 428-6416.